Make the best of what you have! 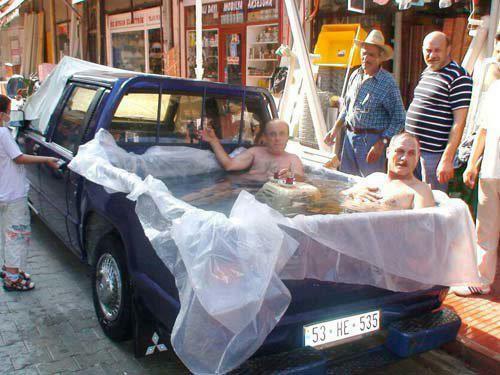 Jacuzzi in a car? Why not! !